Khartoum/New York/The Hague — Recently-deposed President Omar al-Bashir of Sudan must appear before the International Criminal Court (ICC), the Coalition of the International Criminal Court (CICC) said today. Al-Bashir has been wanted by the ICC for alleged crimes against humanity, war crimes, and genocide committed in Darfur, Sudan since 2009. While Sudan is not a member of the ICC, the United Nations Security Council (UNSC) has the authority to refer situations to the Court’s Office of the Prosecutor. With only 4 abstentions, the Council voted in favor of Resolution 1593 referring the situation in Darfur, Sudan to the ICC on 31 March 2005 – the first Council referral in the Court’s history. In March 2009, ICC pre-trial judges granted the Prosecutor’s request for an arrest warrant for Al-Bashir for crimes against humanity and war crimes allegedly committed in Darfur in the preceding five years. A second arrest warrant was issued the following year for the charge of genocide. Al-Bashir is the first sitting head of state to be wanted by the International Criminal Court. “Al-Bashir is subject to 2 ICC arrest warrants on suspicion of being responsible for massive human rights violations amounting to the most serious of crimes. Sudan, with support from the international community, must ensure that he is surrendered to the Court to stand trial for these unimaginable atrocities,” said William Pace, Convenor of the Coalition for the ICC. 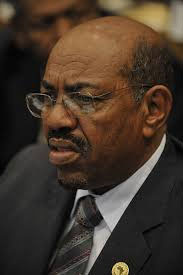 On 11 April 2019, following months of protest nationwide, the First Vice President and Defense Minister of Sudan, Mr. Ahmed Ibn Auf, announced the arrest of al-Bashir and his removal from power. The Defense Minister also declared a three-month state of emergency and the creation of a transitional military council to lead the country for next two years. “The Sudanese people have spoken and al-Bashir has been toppled. But his crimes will not be forgotten. He must not receive refuge or safe haven. He must be sent to the ICC. He must face justice,” said Mustafa Adam Ahmed Hussain, Darfuri Activist and Director of Zarga Organization for Rural Development, Sudan. “The new government authorities of Sudan must surrender al-Bashir, as well as Ahmad Muhammad Harun, Ali Muhammad Ali Abd-Al -Rahman (Al i Kushayb”), Abdel Raheem Muhammad Hussein, and Abdallah Banda Abakaer Nourain to the ICC in order to provide justice to the victims of the international crimes and other perpetrators of the human right violations that have been committed in the country. Any and all of their accomplices should be tried before competent national courts as part of a transitional justice process that must go hand-in-hand with a genuine transition to democracy,” said Amir Suliman, Legal Programme Director, African Center for Justice and Peace Studies (ACJPS), Sudan. While al-Bashir’s travel following the issuance of the ICC arrest warrants was significantly curtailed, many states – including UNSC and ICC member states – have welcomed him on their territories, and failed in their obligation to arrest. “Sudan is a country at a crossroads. The international community must support the transitional authorities and the people of Sudan in ensuring that al-Bashir and other ICC suspects are transferred to The Hague and brought to justice before the ICC for charges of crimes against humanity and war crimes,” Pacecontinued. The ICC is the world’s first permanent international court to have jurisdiction over war crimes, crimes against humanity, and genocide. Central to the Court’s mandate is the principle of complementarity, which holds that the Court will only intervene if national legal systems are unable or unwilling to investigate and prosecute perpetrators of genocide, crimes against humanity and war crimes.There are currently eleven active investigations before the ICC: Burundi; the Central African Republic I & II; Democratic Republic of Congo; Darfur, Sudan; Kenya; Libya; Uganda; Côte d’Ivoire; Mali and Georgia. The ICC has publicly issued 34 arrest warrants and nine summonses to appear. Three trials are ongoing. There have been three convictions and three acquittals. Ten preliminary examinations currently ongoing, including into situations in Afghanistan, Bangladesh/Myanmar, Colombia, Gabon, Guinea, Iraq/UK, Palestine, Nigeria, Ukraine, and Venezuela. The OTP has concluded preliminary examinations relating to Honduras, the Republic of Korea and the Comoros referral, declining in each case to open an investigation. The Coalition for the International Criminal Court is a global network of civil society organizations in 150 countries fighting for justice for victims of genocide, war crimes, crimes against humanity, and the crime of aggression through national courts and the International Criminal Court.